You’re currently viewing our school information. Want to switch to primary? Challenging higher attaining students through depth – rather than moving them onto new curriculum content – takes a while to get used to. We provide a range of ideas on how to go deeper into topics. 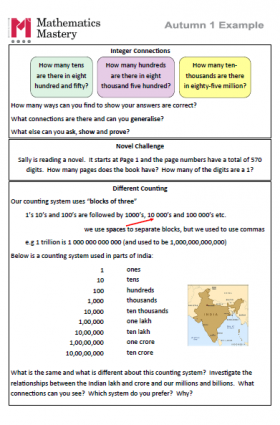 This place value task is a good example of how you can incorporate depth activities in your class.